Community Solutions is situated in Thorne, a small market town on the outskirts of Doncaster. 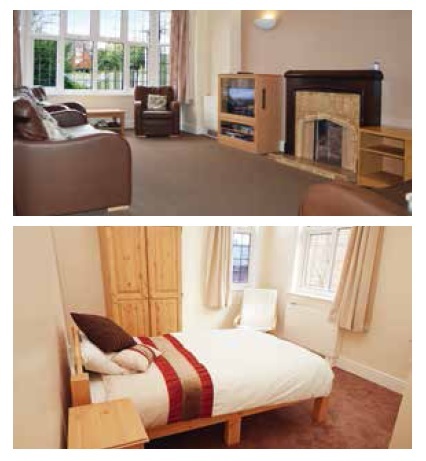 Based in the heart of the community, it enables people to benefit from a more independent lifestyle. We strive to enhance the lives of the people entrusted to our services by focusing on their specific needs, capabilities and aspirations. Person-centred focus: This encompasses life-long learning, care, communication, health, behaviour, a range of activity programmes, emotional well-being and citizenship. Individuals are encouraged to participate in activities and empowered to make as many decisions as possible about their lives. Outcome focus: Outcome-focused activities which build confidence and social skills enable those who live at Community Solutions to achieve measurable progress and, again, empower their decision making. Life-long learning: Person-centred plans focus on providing opportunities to suit the specific needs and aspirations of each individual. Fully inclusive community-based programmes support life skills development and practise, with the aim of enabling each person to make a positive contribution to their community. Communication: Speech and Language Therapists work to develop an appropriate communication approach for each person, which is then reinforced by the support teams to ensure day-to-day consistency with everybody living in the service. This approach helps people develop an increasing understanding of many issues which affect their daily lives and play an increasing part in decision making about such issues. It will also help them extend the depth and range of their relationships. Citizenship: Creating a safe, predictable and stimulating environment enables everybody who lives at Community Solutions to be as active as possible in their community, leading to meaningful social inclusion. Some people have regular jobs within the local community or at other Hesley Group facilities. Trust and relationships: Secure and familiar social networks are extremely important and these are developed and built upon from day one. This creates trusting and valued relationships between those who live at Community Solutions, their immediate and extended family and friends and the other residents of Thorne. Stable, appropriate and mutually trusting relationships with staff are also very important. High-quality accommodation and facilities: Each person has their own bedroom with en-suite bathroom. As well as access to Community Solutions' own facilities they can access a range of excellent local facilities, to complement and enrich their lives. Professional services: Those who live at Community Solutions have ready access to an in-house team consisting of a Clinical Psychologist, Consultant Psychiatrist, Speech and Language Therapist and Occupational Therapist and other specialists to ensure they have timely support if and when required. Keeping people safe: Hesley Group offers a person-centred approach, which aims to support people to develop increasing levels of independence and create a safe environment where they can have the best possible opportunities to maximise their potential. Our philosophy is one of warmth, security, consistency, understanding and trust. Our safeguarding arrangements sit in this context, and our policies, procedures, staff training and quality assurance provide a robust and regularly reviewed framework for this philosophy. Health and safety: We are committed to ensuring the health, safety and welfare of all those who live and work in, or otherwise access our services. Community Solutions adheres to all procedures in place under Hesley Group’s Health and Safety Policy.